You'd be surprised to learn that these ears of corn weren't Photoshopped, made of glass or painted as many who have seen the photos have guessed. 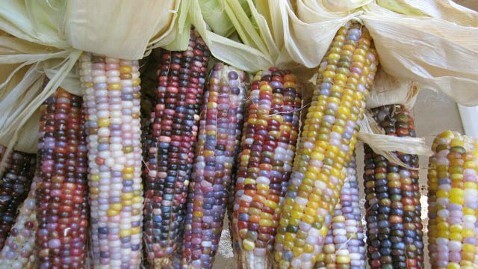 This kid-friendly corn is real and each of the kernels is made from a different colored variety of corn. The photos of the glass gem varietal were posted on the Seeds Trust company Facebook page in October and went viral this week. The Colorado company's website immediately went down because of the onslaught of people looking to buy the seeds. "Seedsman Greg Schoen got the seed from Carl Barnes, a part-Cherokee man, now in his 8's, in Oklahoma. He was Greg's 'corn-teacher.' Greg was in the process of moving last year and wanted someone else to store and protect some of his seeds. 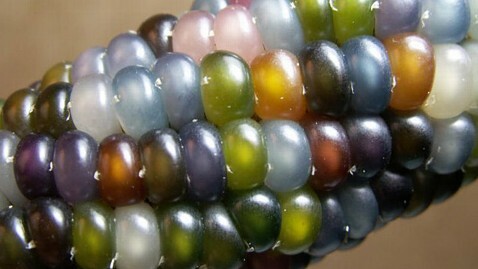 He left samples of several corn varieties, including glass gem. I grew out a small handful this past summer just to see." The seeds are set to become available in limited quantity in August.